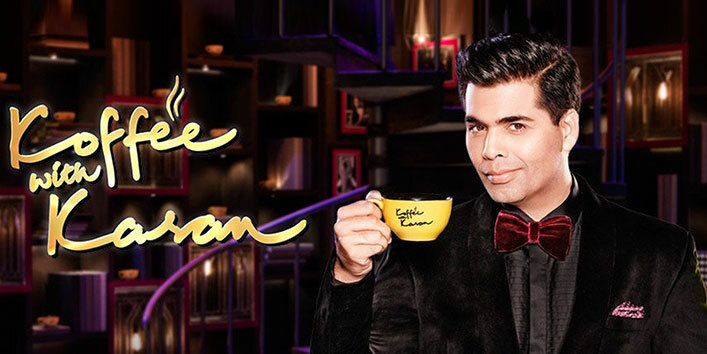 Koffee with Karan is all about being candid and unapologetic. It is one show where the stars can be themselves. In the latest season, some stars made their debut while some others who are veterans were happy to appear again on the show. There are many celebrities who gave tongue-in-cheek remarks and cracked up the audience. 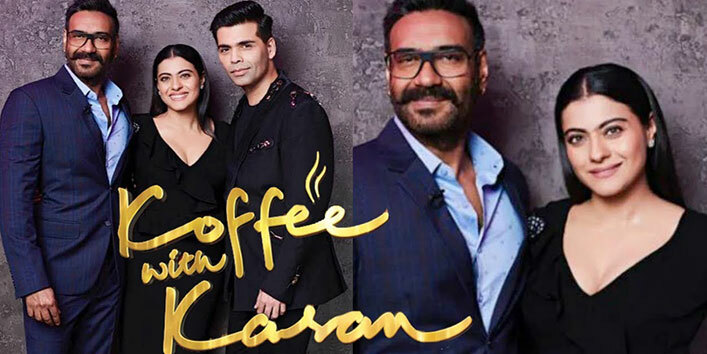 The Koffee with Karan Season 6 raised its stakes by offering the contestants to win ‘Audi A5 Sports’ for an intriguing and interesting answer that would get them shortlisted for the Answer of the Season (AOTS). Karan Johar’s TV chat show Koffee with Karan has been in vogue for various reasons be it Kangana’s discussion about nepotism or sexist remarks made by Indian cricket players Hardik Pandya and KL Rahul. The rapid-fire round of the show is the latest fad where Karan ropes the celebrities into spilling the beans with his cunning questions. This time around, apart from offering the hamper, Karan added ‘Audi A5 Sports’ for the best answer and this made the Rapid Fire Round more fun and fiery. 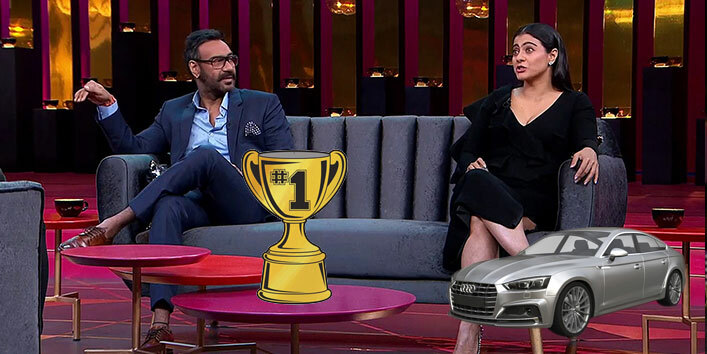 There were many in the race to win the Audi like Aamir Khan and Sara Ali Khan but no one would have thought that Ajay Devgan would drive the swanky car home. Yes, you heard that right! If news is to be believed, it is Ajay Devgan who won his way to the most yearned for Audi car for one of his answers on the Rapid Fire Round. Karan asked the actor in the rapid fire round “ Which is that one superstition that he is guilty of believing” to which Ajay replied, “ I had this superstition that all your films with ‘K’ work, till we did Kaal.” Kajol, his wife and co contestant lauded him and was quick to say that he’d be winning the Audi. Well, why did Ajay say that? It is bacause almost every movie of Karan Johar started with the letter K as in “Kabhi Khushi Kabhi Gum”, “Kuch Kuch Hota Hai”, “Kal Ho na ho” and all were blockbuster hits and are considered even till date as the finest movies of Bollywood. Kaal, however, failed miserably at the box office. Ajay Devgan was the lead actor in the movie and it was helmed by Karan Johar. The answer was adjudged the best by a panel of judges including Malliaka Arora, Kirron Kher, Vir Das and Mallika Dua. After properly analyzing the answers, it was Ajay who was awarded the winner. Ajay was handed the keys of the car yesterday, according to reports.